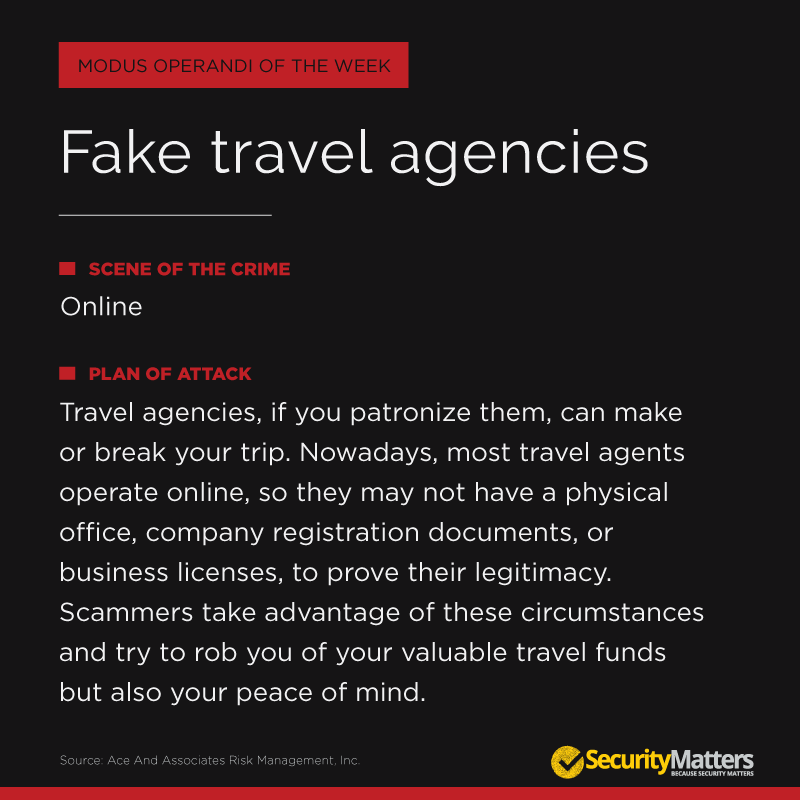 This week’s modus operandi spotlight urges the public to be wary of fake travel agencies. Scene of the crime: Online. Plan of attack: Travel agencies, if you patronize them, can make or break your trip. If legit, they can arrange everything for you from transportation, accommodation, down to your itinerary. Otherwise, they can rob you not only of your money, but also of your chance to travel to your destination. Nowadays, most travel agents operate online, so they may not have a physical office, company registration documents, or business licenses, to prove their legitimacy. 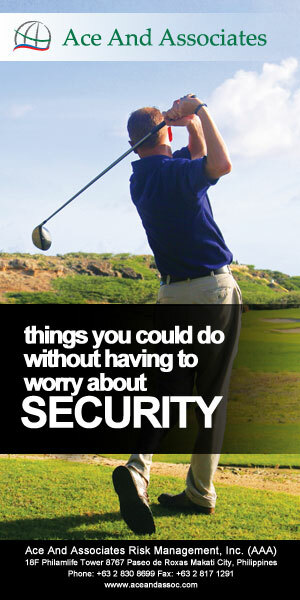 Scammers take advantage of these circumstances and try to rob you of your valuable travel funds but also your peace of mind. The best practice for any transaction based online is to read up on recommendations or articles about them, or referrals. Be on the lookout for both positive and negative reviews. How to protect yourself: If the travel offer looks too good (or cheap) to be true, it probably is. Do your research, especially if they’re mainly an online business. Source: Ace And Associates Risk Management, Inc.